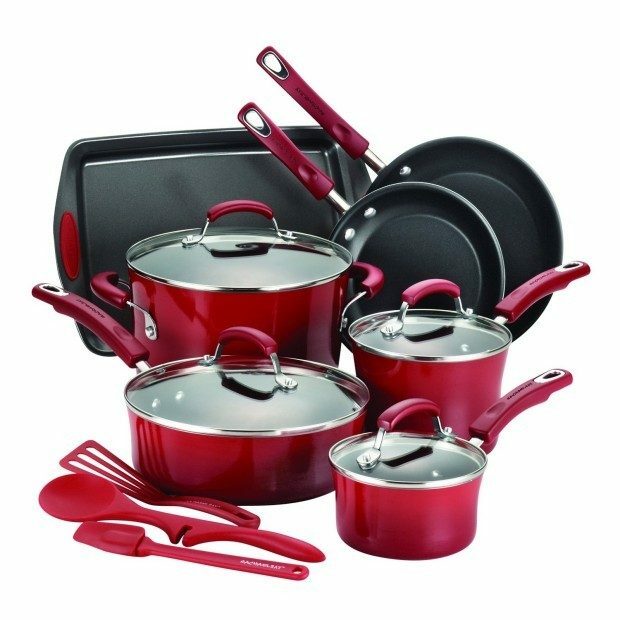 Rachael Ray 14-Piece Hard Enamel Nonstick Cookware Set Was $290, Now Only $89.99! You are here: Home / Great Deals / Amazon Deals / Rachael Ray 14-Piece Hard Enamel Nonstick Cookware Set Was $290, Now Only $89.99! Head over to Amazon to pick up the Rachael Ray 14-Piece Hard Enamel Nonstick Cookware Set Was $290, Now Only $89.99! Ships FREE! Available in this beautiful red or an ombre orange! This would be a great addition to your kitchen or a great starting kitchen set! Also a great holiday gift!